West Bay, Dorset - East Beach on the Jurassic Coast. East Beach consists of a very fine shingle ridged beach with sand at the water's edge. It has RNLI Lifeguard cover from July to September, during the school summer holidays. Note that West Beach is considered the safer beach for young children. Warning: Keep off the rock groyne around the East Pier. The main Long Stay car park for West Bay exists to the left of the mini roundabout as you enter the village. Further Long Stay car parks are located behind East Beach at the next left turn and also Station Yard. Two small Short Stay car parks exist just before entering the harbour area, in front of the Bridport Arms Hotel and Quayside. Motorhome vehicles are only permitted to use the Station Yard Car Park. Public toilets are available behind the shingle ridge of east beach behind the old methadist chapel, next to the Bridport Arms. Public toilets are also located at the main West Bay Road car park to the left of the mini roundabout when entering the town. Baby changing facilities are provided. There are also disabled toilets. Dogs are not permitted on East Beach between 1st May and 30th September. Dogs are permitted on East Beach between 1st October and 30th April, but must be kept under reasonable control and not become a nuisance to other beach users. Owners must remove any faeces from the beach caused by their dogs. 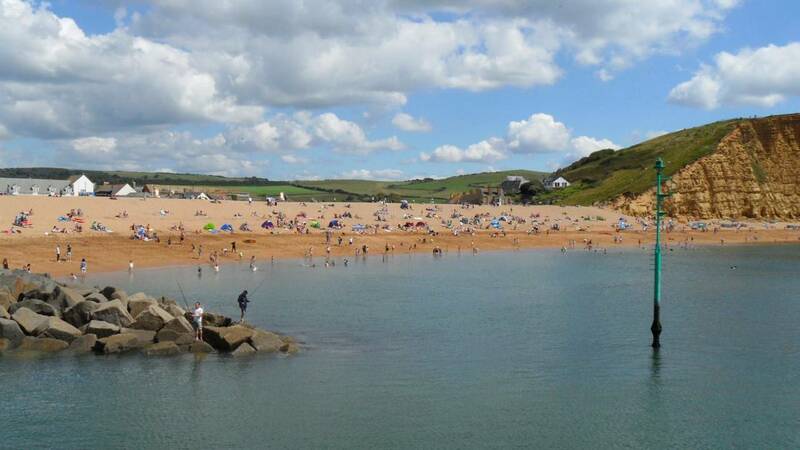 The beaches and whole of West Bay operates a clean zone, regularly patrolled by wardens. Dog owners who do not clean up can face fines of up to £1,000. Bins are provided. Dogs are permitted on East Cliff and West Cliff Beaches at all times but owners must remove any faeces caused by their dogs. Guide and assistance dogs are exempt from the above restriction, i.e. they are permitted on all West Bay and West Dorset Beaches. However, these dogs must carry appropriately marked harnesses / coats to identify them as such.